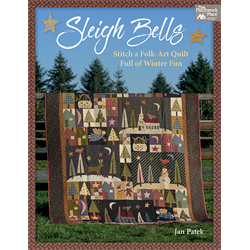 Celebrate the season with a quilt chock-full of winter's charms! Make a dozen cute quilt-block designs featuring whimsical snowmen, quaint cottages, towering trees, wonky stars, and joyful angels, plus kids bundled up for wintertime fun. Need some cold-weather comfort? 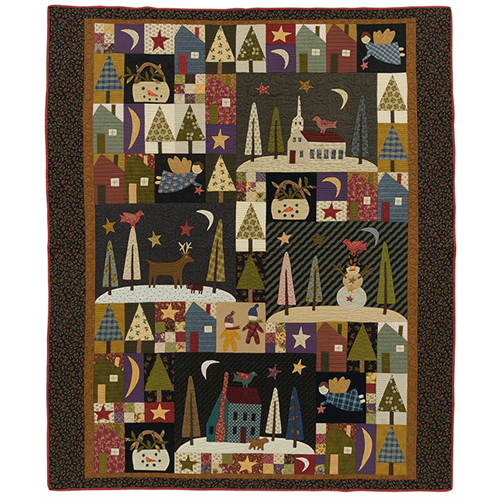 At queen size, this cozy quilt can be showcased anywhere--and cuddled under anytime you need to warm up! Use Jan's needle-turn technique, or any favorite applique method, to make each block. For quick coordinating projects, turn single blocks into pillows, wall quilts, table toppers, and more! Full-size patterns included.